Coming in a protective plastic box, the outback portable barbecue is ideal for leaving in the boot of the car for day trips to the beach or wherever. The barbecue is powered by a small butane gas canister which are readily available so replacements are not a problem. It has a removable drip tray so cleaning is easy and straightforward. Lighting it is no problem, after the gas canister is attached and turned on, it lit first time every time. The cooking grid is reverseable so it can also be used as a stove for heating pots etc. The heat zone is concentrated around the centre so it has a cool area at the edges. This is ideal for moving cooked food to the edges to prevent burning but it does mean that if you have a barbecue full of food then you do have to move things around a bit to make sure they are cooked evenly. I would say that the barbecue is ideal for two people and fine for four but any more than that and it may be a little small. Once finished it cools quickly and can be easily packed into its box and stored away. 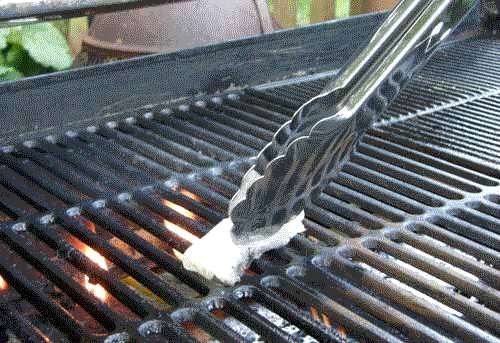 It lights instantly, no waiting for charcoal to burn down. no nasty fuel taste due to incorrectly burned coals. Ready in an instant if you suddenly feel the need for a barbecue. It seems to last quite a while on one canister – I have used it a few times and haven’t replace the canister yet. Convenient and practical. Can be used in addition to a main barbecue for smaller items or to keep things warm. An easy to source and replace gas canister. Ideal for novices. 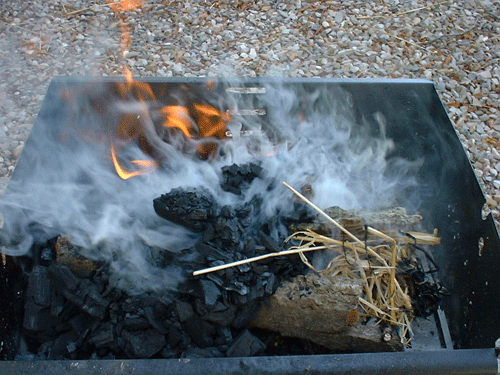 Some people may miss the taste of food done over the coals. 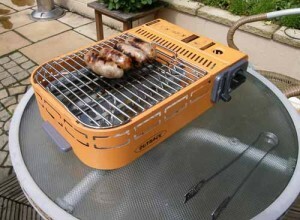 The heat is concentrated around the centre of the grill. Ideal for cooking chicken yakitori.